BFP Inspiration Moment on Love. Joy. Peace. 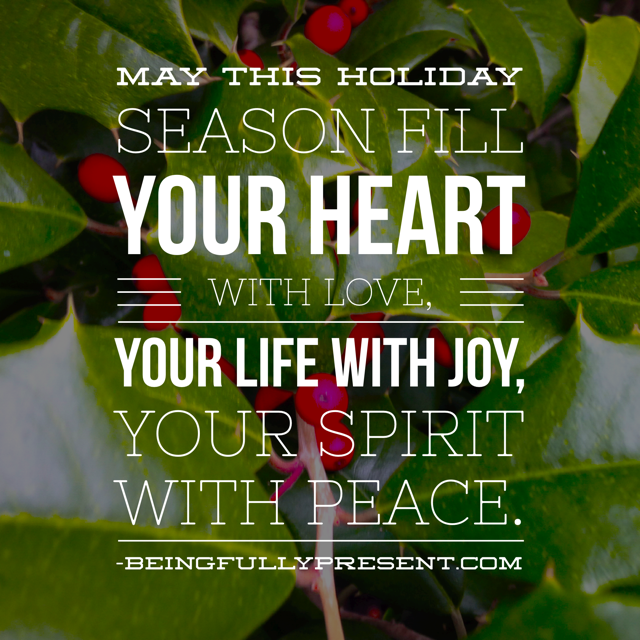 What a great holiday season this would be if we all had a heart filled with love, lived a life of joy and had a spirit at peace. As we head into this final week before Christmas, remember that it is not about expensive gifts, fancy bows, rich food or a decorated house. Beyond specific religious practices, the season is about love. Don’t make yourself crazy worrying about all the rest. Photo of a holly bush taken a couple weeks ago while walking in my neighborhood.